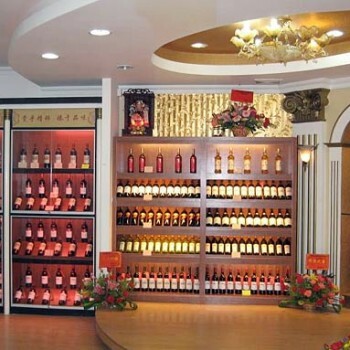 An increase in domestic wine demand in China was the main reason for an upturn in the global wine market in 2015, according to the International Organisation for Vine and Wine (OIV), with a growth of more than 10% by value worldwide over the previous year. At a conference in Paris to discuss the state of the world wine market in 2015, the OIV said that after a drop in Chinese consumption in 2013 and 2014, China is now playing a renewed role in global wine growth, both in consumption and production. The OIV director-general Jean-Marie Aurand said: “China remains the main driver of growth in the global wine industry”. The decrease in consumption in the two previous years coincided with a Chinese government crackdown on excessive gifting of luxury products, but the 2015 growth showed, says the OIV, the continued popularity of red wine among the Chinese middle class. This growing market perceives red wine as a status symbol which also offers health benefits. This pattern of change in China allowed the global trade in wine to rise by 1.8% in volume to 104.3 million hectolitres (hl), and by 10.6% in value to reach $32 billion (£22.2 billion), the OIV reported. While the world’s vineyard area declined slightly, with a loss of 7,000 hectares of vines overall, there was growth in two main countries: New Zealand and China. The Chinese vineyard area rose by 34,000 hectares to confirm its position as number two in the world (with 0.82 million hecatres), behind only Spain (with 1.02 million hectares). France remains the world’s largest wine exporter by value, with 29% of market share, while Spain leads the export stakes in terms of volume, with 14 million hectolitres sent around the world in 2015.